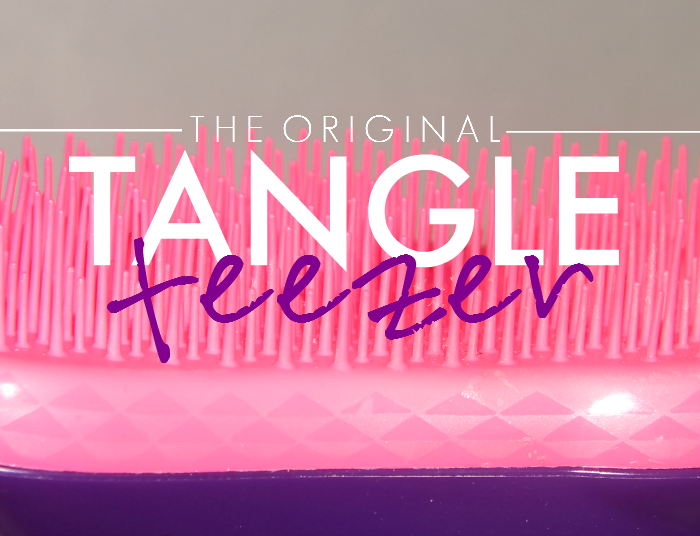 Oh, the elusive Tangle Teezer... It seems like it's taken forever to make it's way across the pond, but they're here! Ahem, by here I mean North America. I've been so curious about these oddly shaped brushes that British bloggers all seem to love so dearly because my hair tangles like a bi#ch. I have a pretty decent amount of hair in terms of overall thickness, but the texture is fine and it just loves to tangle. I've tried pretty much every tangle banishing brush going, but how do they compare to The Original Tangle Teezer? Read on for my thoughts. The Tangle Teezer, for those not in the know, is a kidney type shaped brush that is designed to gently pass through tangles. The plastic bristles of the brush are of various lengths and are quite flexible compared to a normal brush, which I think helps them cut through hair so easily. The brush is super gentle, which means it can be used on wet and vulnerable dyed/bleached hair with no tugging and pulling that you'd experience with a normal brush. As mentioned above, I've tried my fair share of tangle taming brushes. Of the newer school, I've tried the Wet Brush and the Goody TangleFix. 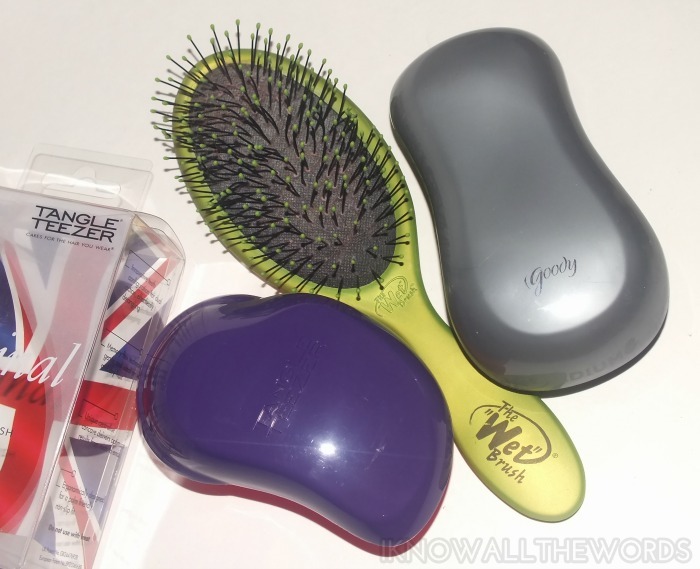 The Goody brush is most similar to the overall look and feel of the Tangle Teezer and is a really close dupe. While it's not the same- the main difference is that the bristles have less movement. 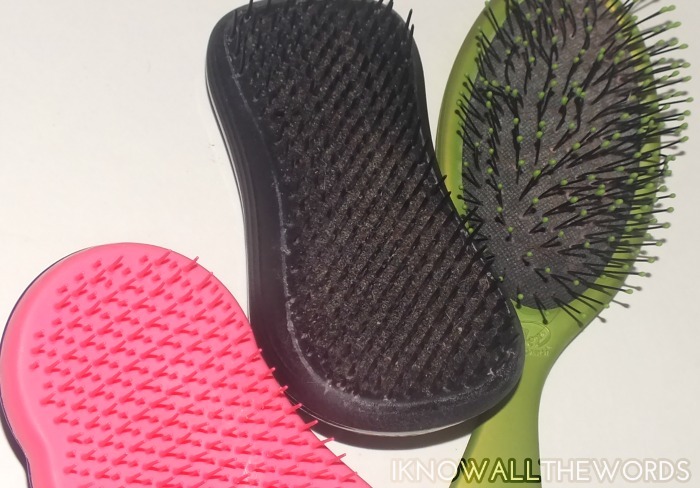 I find I like both the Tangle Teezer and Goody TangleFix, but I lean towards the Tanlge Teezer more because it works better on getting right to the scalp as it has longer bristles. I find I have to make more passes with the Goody brush to feel like I'm brushing my hair completely to the scalp and getting through it all. The Wet Brush is most like a traditional brush in style, but has the same flexible bristles that detangle gently. I quite like the Wet Brush as it really does work well on wet hair and it's the brush I reach for when my hair is freshly bleached as it is just so much more gentle. I find I use my Wet Brush most on wet hair- go figure- but don't use it as much on dry hair as it almost feels to gentle. I like to be able to feel that I'm brushing right to the scalp and getting my hair completely brushed. Anyone else like that? Also, the Wet Brush isn't the best for traveling, as the bristles are so flexible they easily get bashed down and don't recover very well. I tried to protect mine, but it still got mashed in my suitcase. Overall, I quite like the Tangle Teezer. I don't know if all the hype is completely warranted, but it definitely does make brushing tangle prone hair that much easier. Oh, and it also happens to ship free (along with other Tangle Teezer styles- check them out here) within Canada from Nail Polish Canada! I love me some Nail Polish Canada.Have you tried it or any similar brushes? What's your favourite brush?